"I really like adding grilled fruit to my salads. I love how they caramelize nicely and melt in your mouth. 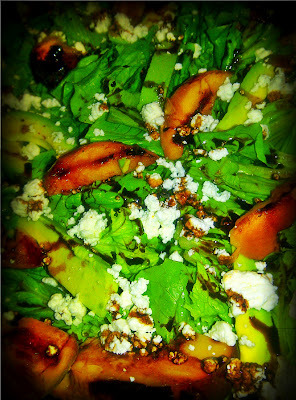 Adding fruits to your salad not only makes it picture perfect but elevates the dish to a whole new level." For better grilling cut the peaches in half and remove the pits. Place them on a well-oiled cast iron grill over medium-high heat and cook for a few minutes on each side to lightly char. Pour Fig vinegar and the 2 tablespoons or burnt sugar into a small saucepan and bring to a boil over medium-high heat. Reduce heat to medium-low, and simmer until the vinegar has reduced to 1/4 cup. Set aside, and cool to room temperature. Rinse and dry lettuce and cut it into bite size pieces. 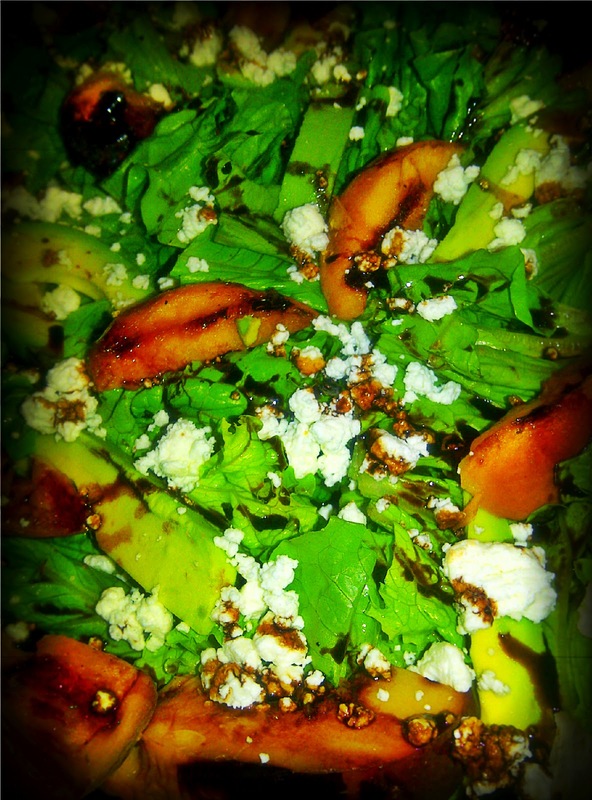 Place in a large bowl along with peach slices and avocados, and crumbled goat cheese and drizzle with the fig and burnt sugar reduction.